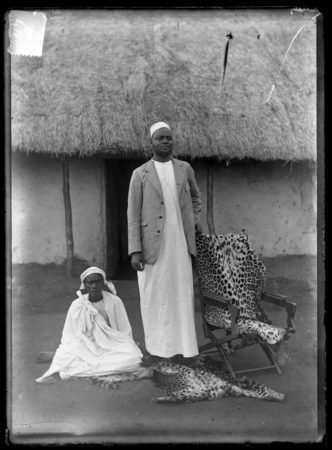 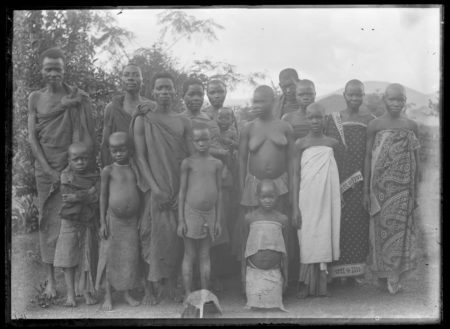 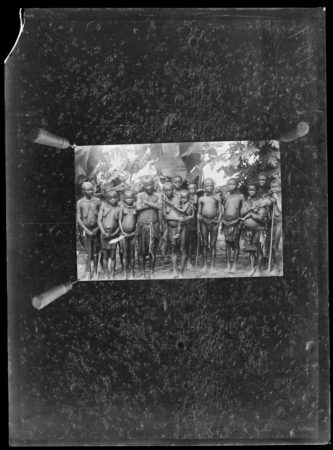 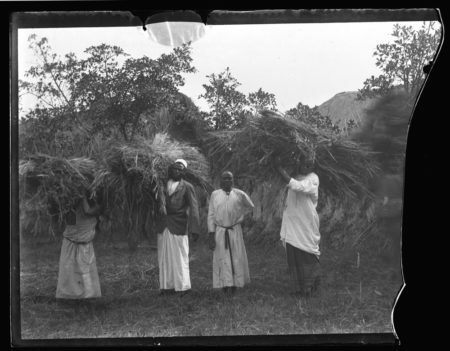 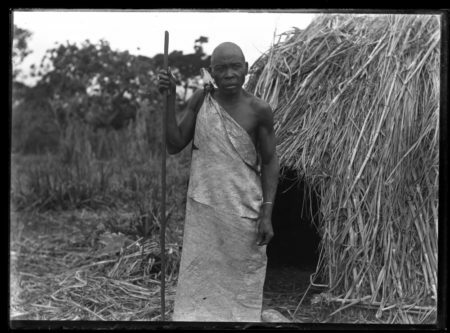 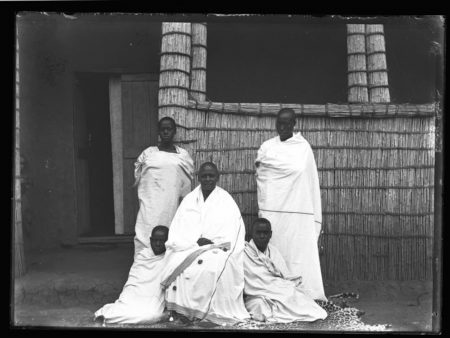 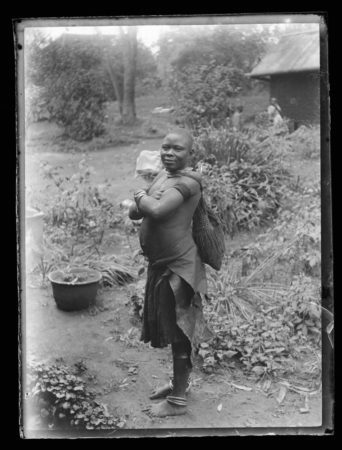 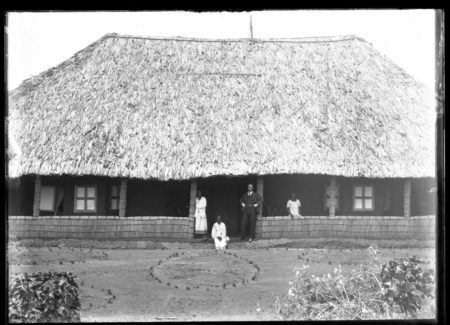 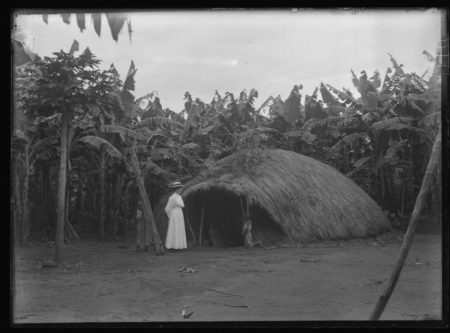 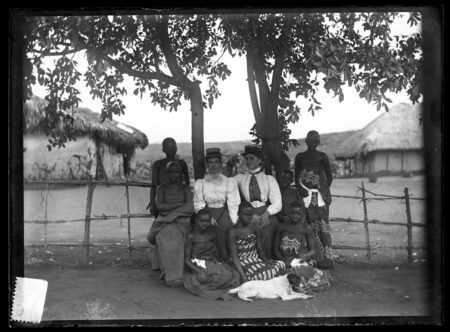 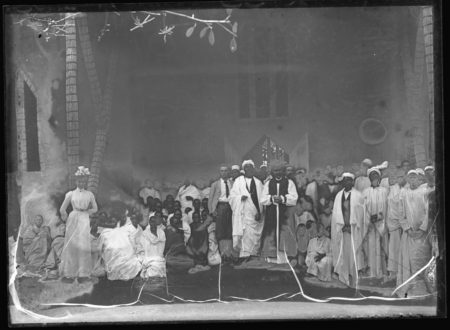 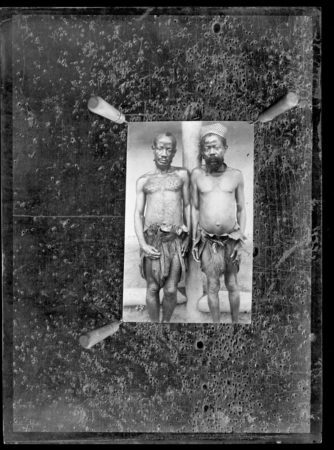 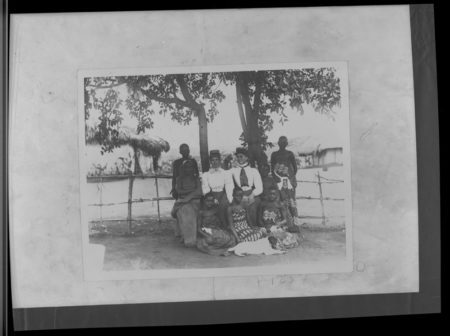 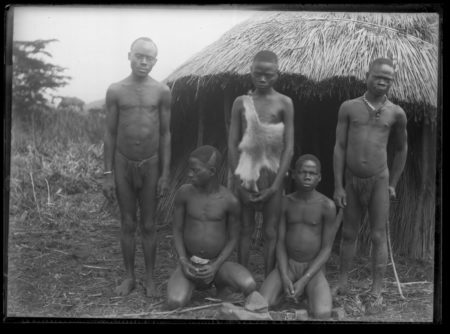 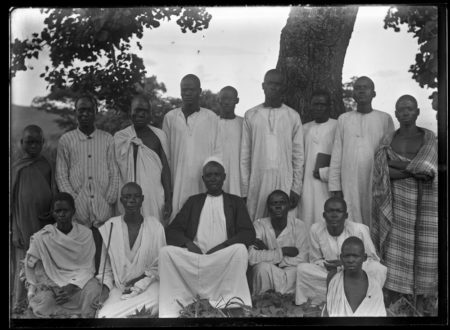 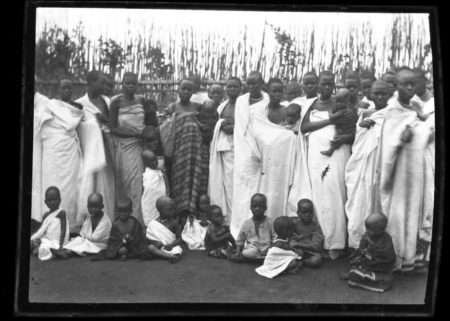 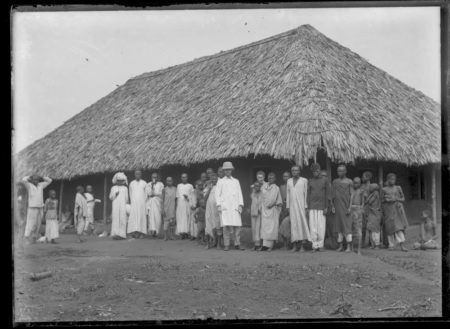 These glass plate negatives are part of a collection housed at Makerere University main library Africana section. 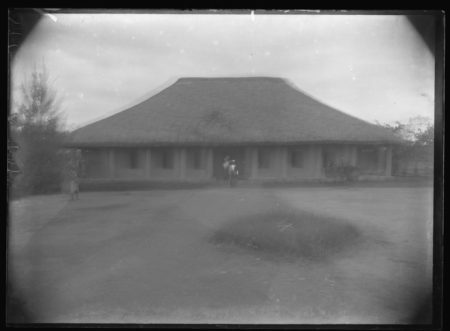 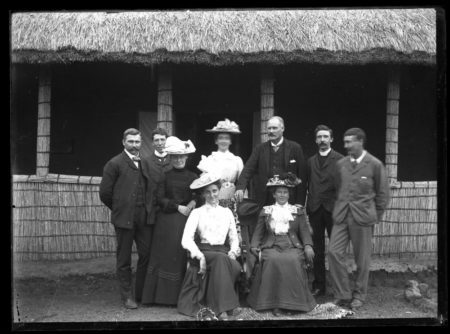 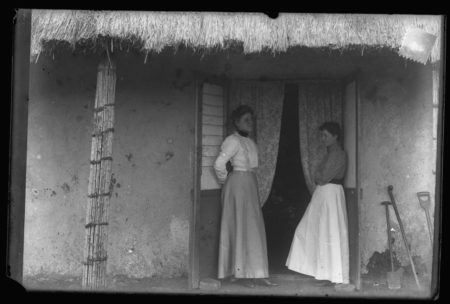 The whole collection was donated to the library by descendants of missionary doctor A.T. Schofield, but contains these older negatives, made by another C.M.S. 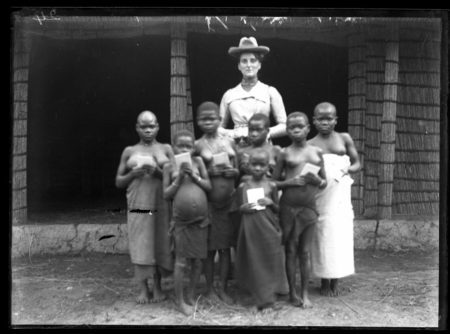 missionary; Rev. 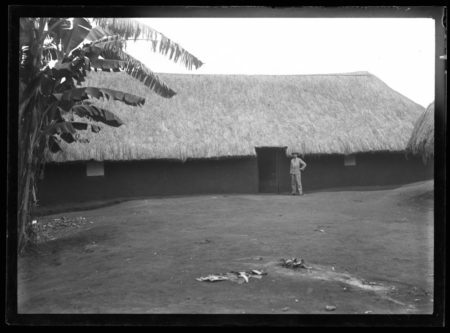 A.B. 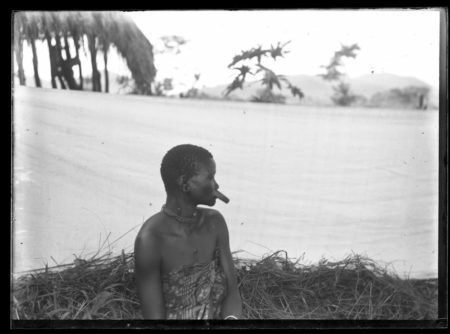 Fisher. 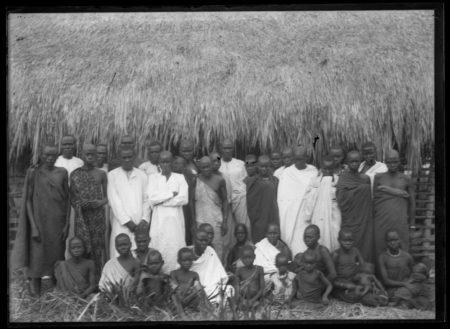 The following biographical information was copied from Archiveshub. 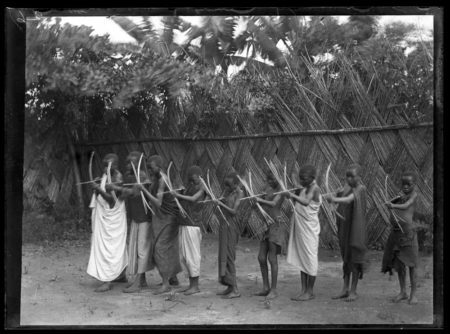 The site reference the A.B. 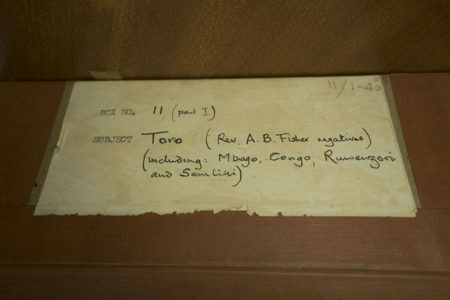 Fisher papers, that are held at University of Birmingham, Cadbury Research Library, Special Collections. 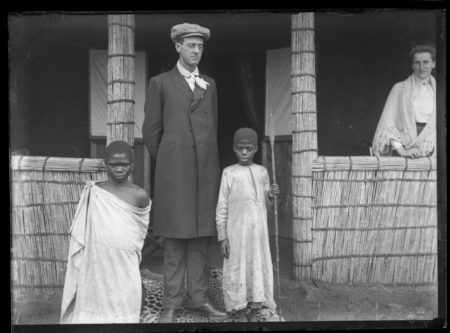 Arthur Bryan Fisher (1870-1955) of Dublin was accepted as a CMS missionary in 1892 and served largely in Uganda at Kasaka, 1894, Kinakulya, 1895, Toro, 1896, Bunyoro, 1904, Hoima, 1908, and Gulu, 1913. 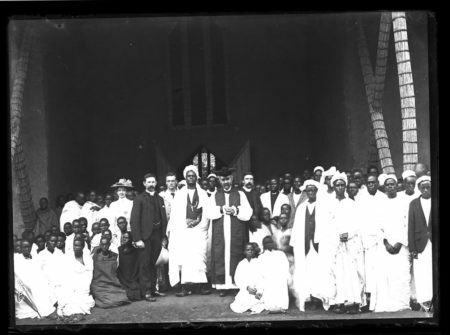 He was ordained as a priest in 1900 and in 1902 he married Ruth Hurditch, also a CMS missionary. 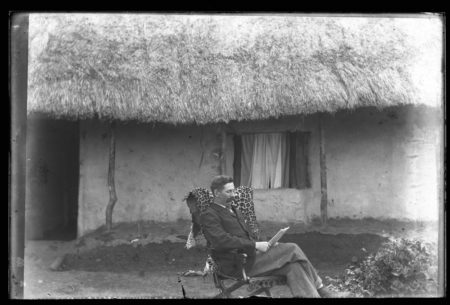 He retired from service with the CMS in 1914 and died at Eastbourne in 1955. 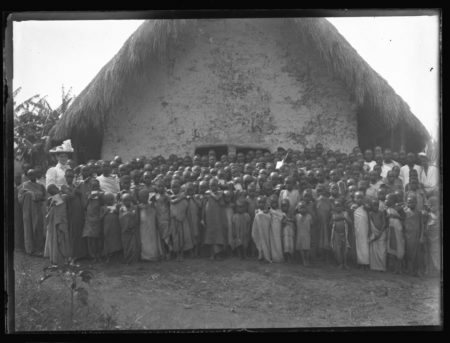 This information roughly helps to date at least some of the photographs in the collection, that are among the oldest digitised by HIPUganda.